Driving through Elora in early September 2013, we discovered horses and buggies in a little park just off the main street. 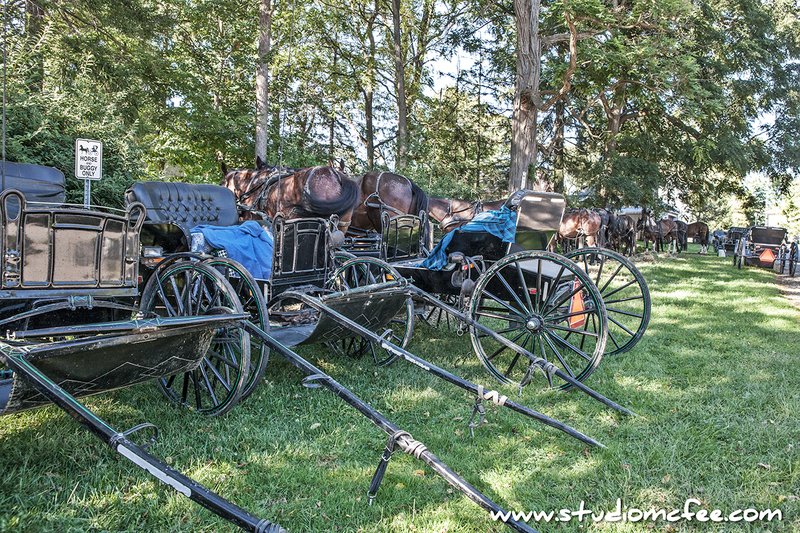 The horses belonged to local Old Order Mennonites and there appeared to be a courting event taking place. As we arrived, groups of bonnet-clad young women, and young men wearing straw hats, could be seen returning to the park. The horses made me think of what it must have been like for my ancestors back in their day. My great, great grandfather (a Scottish immigrant) settled farmland east of Elora in 1834. The building now known as The Elora Mill Inn was built in 1833 as a grist mill. Farmers throughout the area brought their grain to be milled. My ancestors regularly visited this mill by horse and wagon. 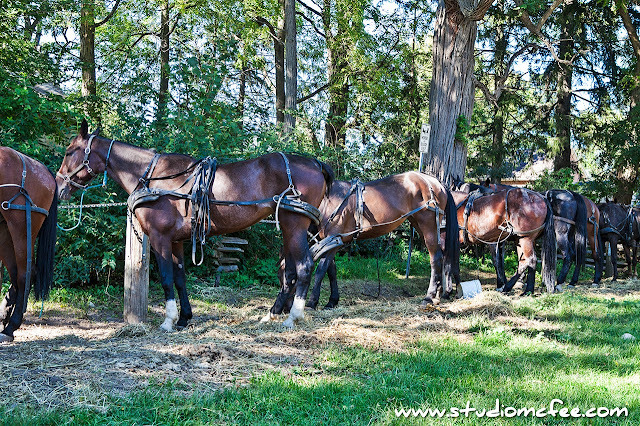 Seeing horses and buggies in downtown Elora, I felt as if I had traveled back in time. Elora has become a charming, artistic community over the past 30 years. Musicians and artists have moved to the area. Gift shops, galleries, and restaurants now occupy the old limestone buildings. Mennonite horses and buggies would at first seem out of place but, in effect, add to the charm. For some reason, Elora feels like home.